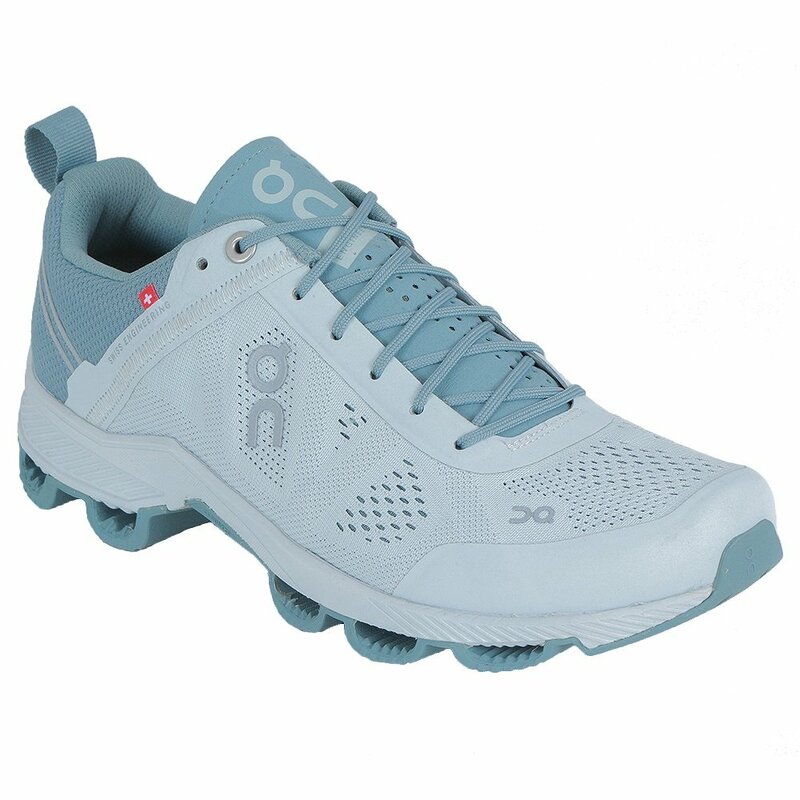 Whether your idea of competition is running for a medal or just completing your first 5k, the On Cloudsurfer Women's Running Shoe is designed to help you get the best time possible in your next race. The hollowed-out sections on the midsole are part of the Open Cloud Construction design that reduces weight and improves rebound while eliminating unnecessary weight. Engineered mesh construction puts support where you need it and enhanced ventilation everywhere else, and the Cloudsurfer Speedboard on the inside encourages a quick take-off so before you know it you're already on to the next step.